Tacoma, WA – Four fights into his boxing comeback under the Halquist Productions banner, #6 Ranked WBO Jr. Welterweight, Zahir Raheem (35-3, 21 KOs), is ready to step up to the highest tier and grab the respect that he’s vastly fought for throughout his dramatic career. 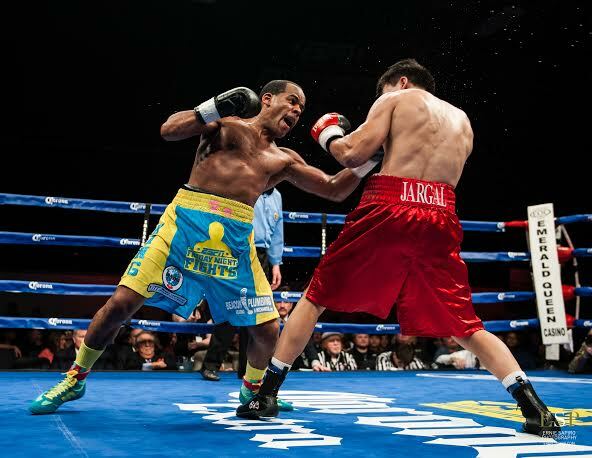 Fighting with a pre-existing hand injury in his NABO title fight with Bayan Jargal on ESPN2’s Friday Night Fights in January, Raheem, although victorious, was unable to display the KO power he had shown in his previous three fights. Now, with his hand fully healed, Raheem is primed to make a huge statement in the junior welterweight division and is once again positioned to step back in the ring and face anyone in the weight class. The hand injury that affected Raheem’s Friday Night Fights performance against Bayan Jargal came two weeks before the fight during a sparring session. Pre-fight X-Rays showed that the right hand had indeed been broken, but knowing that this wasn’t an opportunity he could miss along with the Friday Night Fights main event already in trouble due to the Arash Usmanee injury, Zahir knew it was best to fight with the injured hand. While the pain was manageable pre-fight, the hand was severely aggravated only a couple of minutes into the fight, effectively forcing Zahir to fight one handed for ten rounds. Dedicating his life to the sport of boxing, including going an astonishing 213-4 in the amateurs and earning a spot on the 1996 U.S. Olympic boxing team headlined by Floyd Mayweather Jr., Raheem is ready to take on the best fighters in the world. After giving boxing his all throughout his 17 year career, Raheem is once again ready for the biggest spotlight that Boxing has to offer and couldn’t be more excited. Raheem’s shining moment came in 2005 when he outclassed Erik Morales in a victory that earned Raheem Ring Magazine’sUpset of the Year award and the opportunity to fight Acelino Freitas for WBO’s vacant lightweight title. The Freitas fight resulted in a heart breaking defeat for Raheem, losing by a very controversial split decision victory. Following the frustrating loss to Freitas, the business side of boxing made it nearly impossible to match Zahir with a fighter of his caliber. Raheem’s name was established and everyone else knew that he deserved to fight the top lightweight contenders available. After a dispute with his promoter and a handful of less than desirable fights later, Raheem decided to step away from the public eye and focus on what he needed to do to get back in spotlight. Raheem has maintained excellent fighting shape, training out of his King Raheem’s Boxing and Cross-Training gym in Atlanta, GA. Having gone 4-0 with 3 KO’s and a new NABO title around his waist in his stellar comeback, Raheem is back in the spotlight and ready to continue his journey as a legit contender in the junior welterweight division.